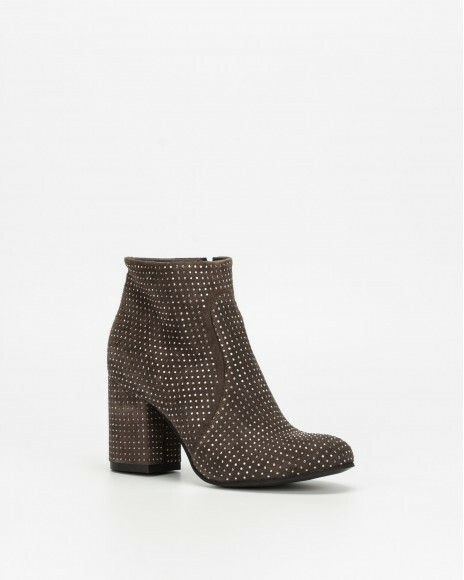 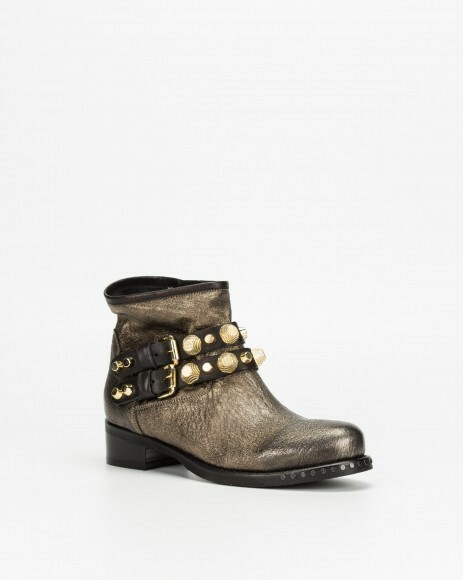 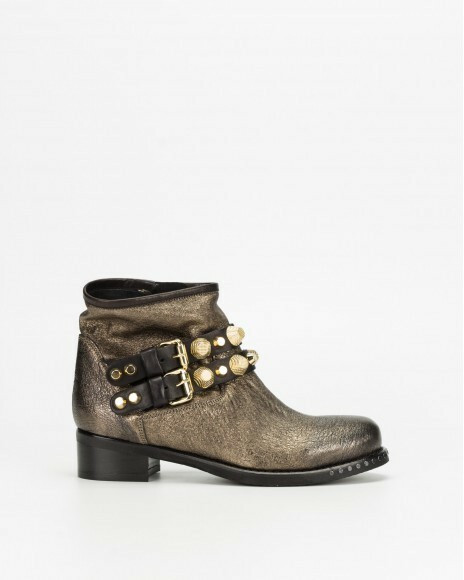 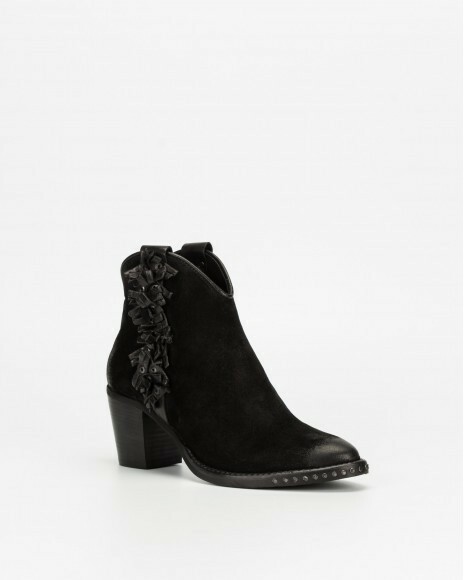 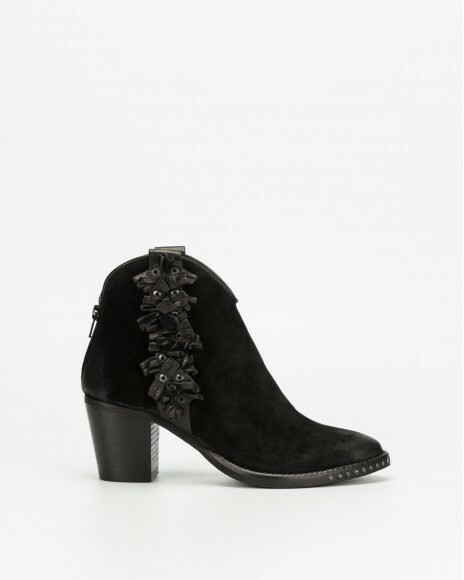 Move and shake in this bootie from Strategia. 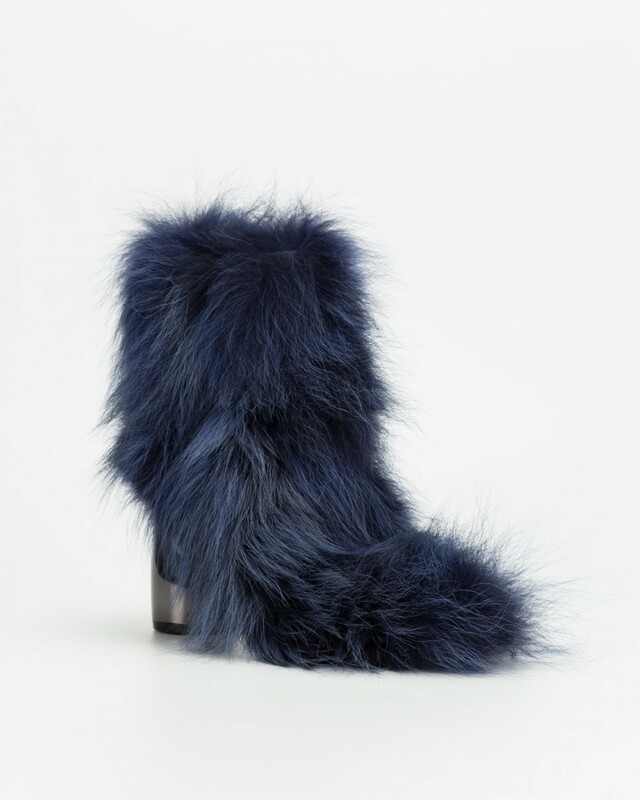 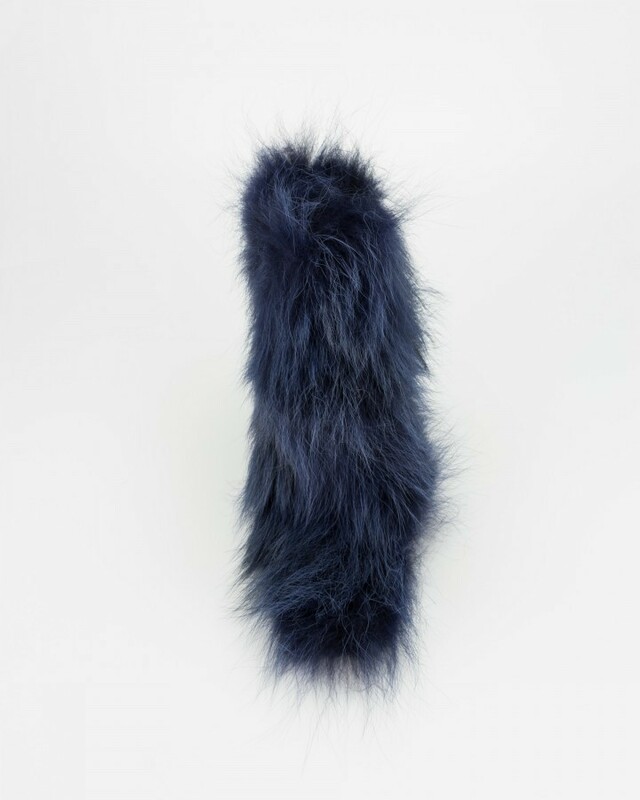 This astonishing style features leather upper completely covered in blue fur with leather insole and outsole. 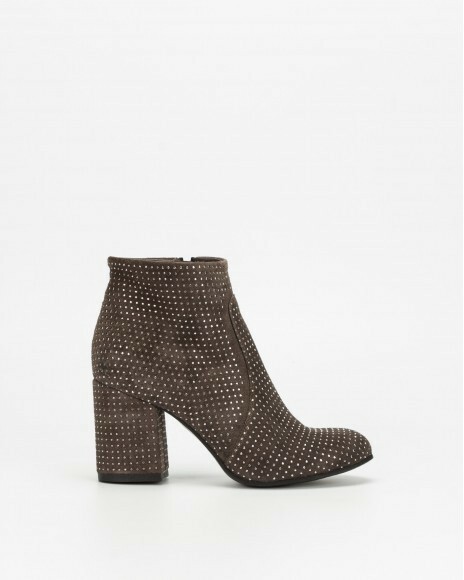 Inside zip and 10 cm high heel.